Buffalo has been generating a lot of buzz surrounding new public works that have been revitalizing the historical industrial districts for the public. 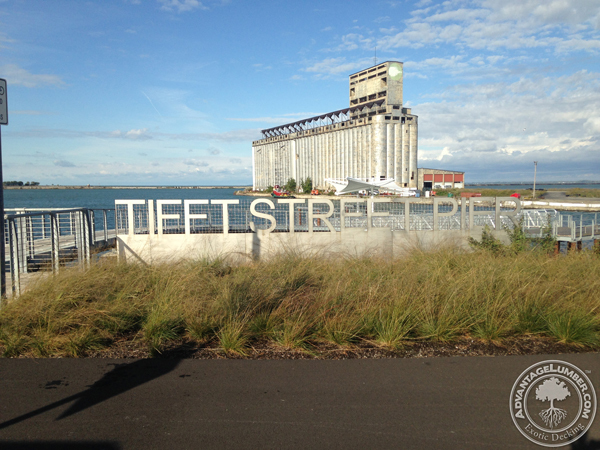 The Tifft Street Pier and boardwalk is one of the projects that has been recently completed, and is now open to the public to enjoy. The beautiful Tifft Pier has a floating dock that allows pedestrians to experience being surrounded on all 4 sides by water from Lake Erie. There are benches, and also accommodations for fishing. This entry was posted in Ipe Decking, Ipe Wood, News, Uncategorized, Wood Decking and tagged Buffalo Pier, Ipe Pier Buffalo, Tifft Pier Ipe, Tifft Street Pier on October 30, 2014 by Mr. Ipe Hardwood.